As the PSA test has fallen under scrutiny, additional screening tests have been developed. Today, PSA test options are being evaluated for their efficacy and potential use as part of the screening process. The story of prostate cancer screening for more than 30 years has centered on the prostate specific antigen or PSA test. In more recent years, scientists have become concerned that an elevated PSA test may have led to over-diagnosis and over-treatment of non-lethal cancers--with devastating side effects. New developments in PSA testing are an effort to fine-tune results and identify slow-growing cancers eligible for active surveillance. New methods seek to clarify diagnoses in men whose PSA is considered “borderline”—i.e., a range of between 4 nanograms per milliliter (ng/ml) and 10 ng/ml. The idea is to have these “fine-tuned” PSA tests help identify encapsulated, slow-growing cancers that may be eligible for a so-called “watchful waiting” treatment plan. This does not mean that you and your doctor are ignoring any symptoms of prostate cancer you may be manifesting. 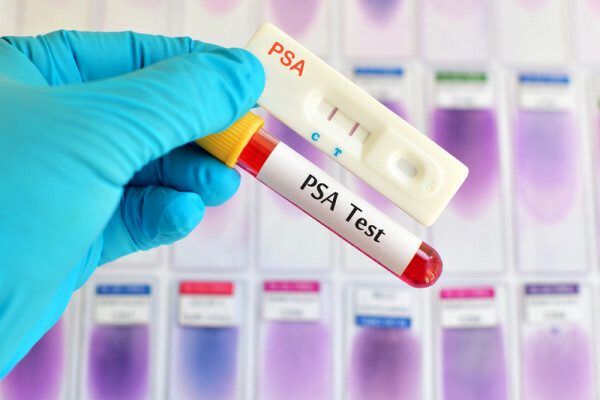 If you receive a prostate cancer diagnosis, “active surveillance” will mean periodic checks using the following PSA test variations, and may also include biopsy. PCA3: This is a genetic urine test that provides a PCA3 score. Men with a higher PCA3 score are more likely to have prostate cancer cells detected on biopsy than men with a low PCA3 score. The U.S. Food and Drug Administration (FDA) has approved this test for men 50 or older who have had one negative prostate biopsy and for whom a repeat biopsy is recommended based on current standard of care. PSA velocity: This test determines the rate at which your PSA changes over time and is reported as ng/ml per year. PSA doubling time: This is the amount of time elapsed while your PSA level doubles. 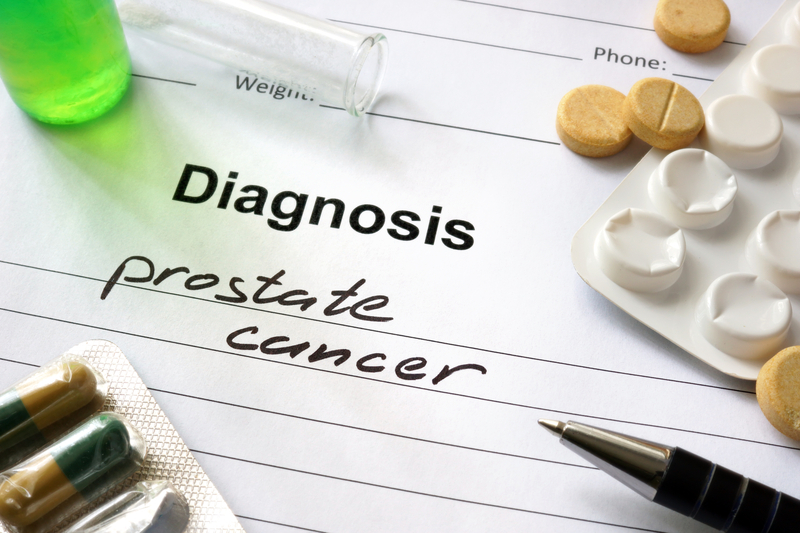 Variations on the traditional prostate specific antigen (PSA) test are improving diagnoses and limiting unnecessarily aggressive treatments that can have devastating side effects. Free vs. total PSA: PSA in the blood can be circulating independently (“free”) or attached to other proteins. Men with a high total PSA but low free PSA are more likely to have prostate cancer. PSA density: This test divides the PSA level by the volume of the part of the prostate gland that surrounds the urethra. There is some evidence that this value can be useful in detecting prostate cancer. Pro-PSA: Having a form of free PSA called pro-PSA has been linked to an increased risk of aggressive prostate cancer. abnormal psa, active surveillance, aggressive prostate cancer, cancer, cancer cells, cancer diagnosis, cancer stages, cancer symptoms, cancers, detecting prostate cancer, digital rectal exam, dre, food, Free PSA, health, health news, pca3, pro psa, Prostate, prostate biopsy, prostate cancer, prostate cancer cells, prostate cancer diagnosis, prostate cancer psa, prostate cancer stages, prostate cancer symptoms, prostate gland, prostate screening, prostate specific antigen, psa, psa levels, psa test, psa testing, psa tests, PSA Velocity, side effects, university health news. I had bio therapy 3 months ago. My PSA before therapy was 12.6. 3 months After therapy my PSA was 11.69 I had tests to see if my prostate cancer had spread to my bones and lungs. Dr report did not show any thing. Now they want me to take tests at AR Carti center in Little Rock. Did they miss the cancer at Saline Mem. or is it floating around in my blood? Any thoughts?